Also, be sure to tune in next Monday, January 10, to ESPN's broadcast of the BCS National Championship game to watch the world premiere of Switchfoot new music video for "We Are One Tonight." The game airs starting 8:30 PM EST. 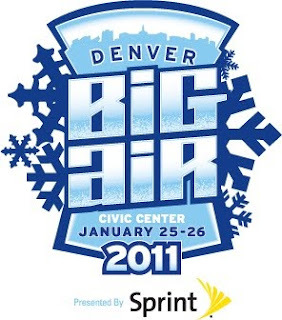 Based on numerous reports, Denver Big Air, a snowboarding event has announced their musical acts for the event. Switchfoot and OneRepublic are slated to make appearances during the tournament, with the former playing on Tuesday, Jan. 25 after the opening round of the “Battle of the Brands” ski competition. In other news, Switchfoot took home the No. 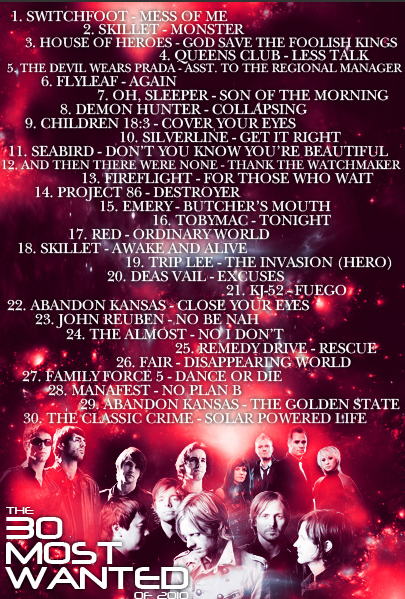 1 Most Wanted music video honor on TVU Live, beating out other Christian rock heavyweights like Skillet, House of Heroes, and Flyleaf. And, on RadioU, three of Switchfoot's tracks featured in the 100 Most Wanted of 2010.